You are currently browsing the tag archive for the ‘cacti’ tag. 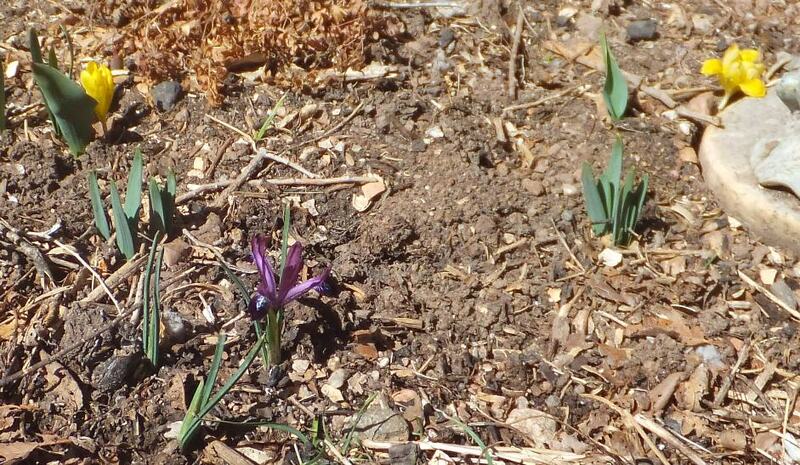 I’m mostly an outdoor gardener. 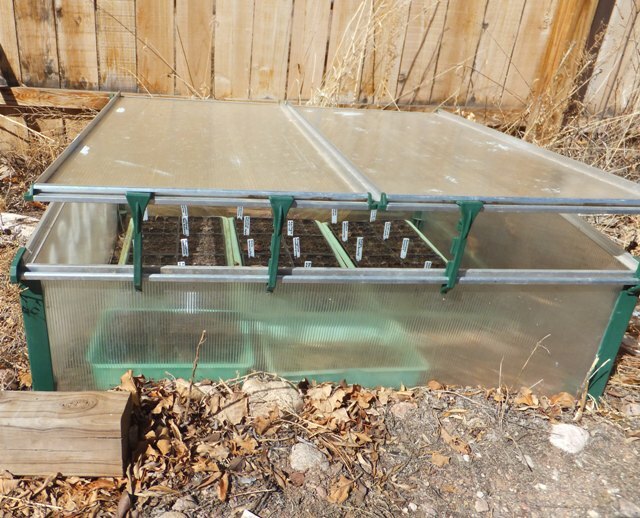 I have a few houseplants (nothing special, the kind you can get at the grocery store) around the house, and I have grow-lights for starting vegetable and flower seeds in the spring. I recently bought a varied assortment of succulents, including a few cacti, for dish gardens in my office at work to replace plants that died when the heating system failed. They will better reflect my current gardening interests than the old spider plant, schefflera, and pelargonium did. 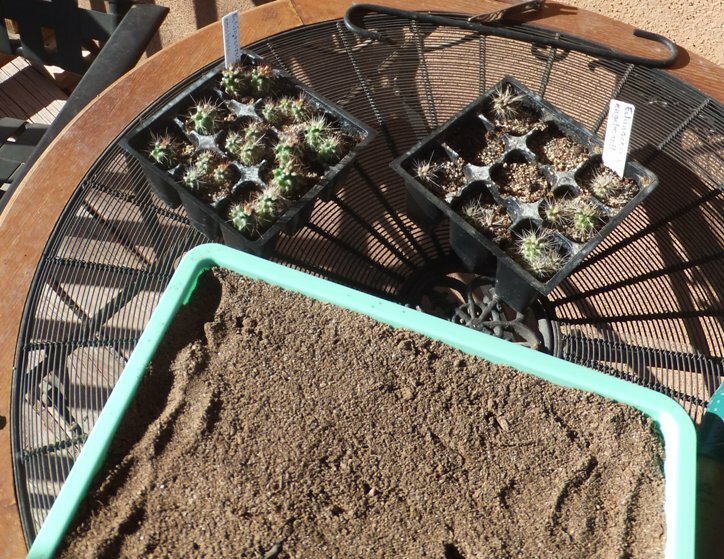 But today I want to share an indoor gardening activity that has turned out to be very fun and to hold my interest better than the generic houseplants: raising cacti and succulents from seed. This is something I’ve done various times over the years. 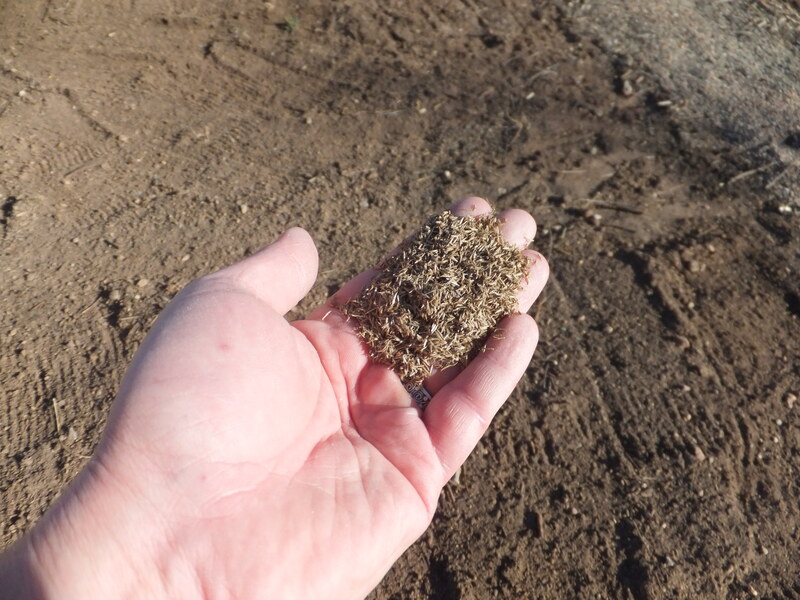 Many people who are not avid gardeners find even the concept of growing cacti from seed startling and even bewildering. We just don’t think of them in that context. As you can see, they are all different and interesting. 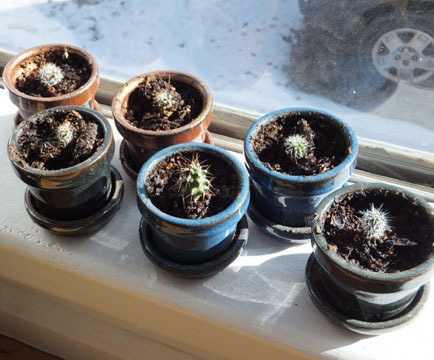 They are almost two years old now, and they enjoy life on the window sill, potted in cactus mix, where I water them once a week. 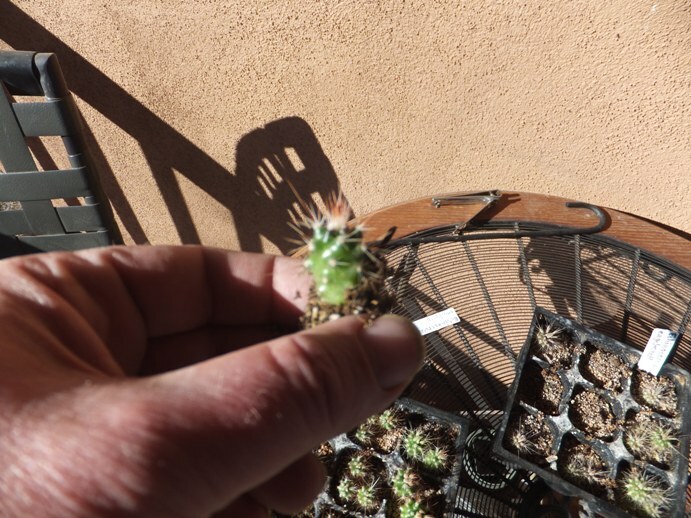 Once they have grown to a suitable size, I will plant them out in the outdoor cactus garden by the driveway. I’m guessing that will be a couple more years, at least. This is not an activity for the impatient, but in the meantime they are fun to look at and make nice conversation pieces. 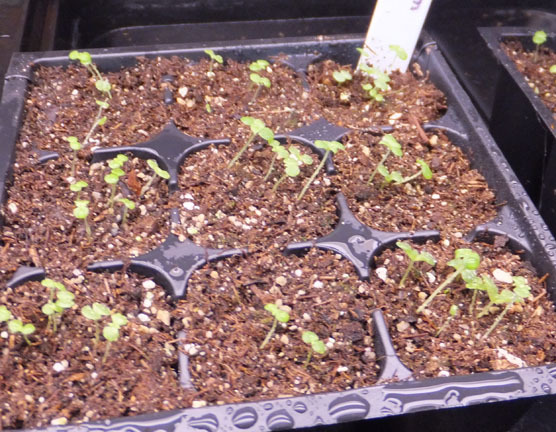 I’m fascinated by the variation the seedlings are showing in leaf color and markings, as well as size. If these do indeed grow to be a meter across, they will be very impressive houseplants indeed! And it seems I have plenty to share with friends. 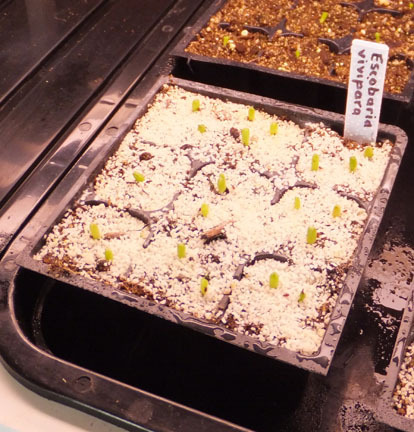 Although the seeds available from general gardening sources are very limited in variety, there are hundreds of interesting offerings available from specialist growers and from the seed exchanges of groups like the Cactus and Succulent Society of America. 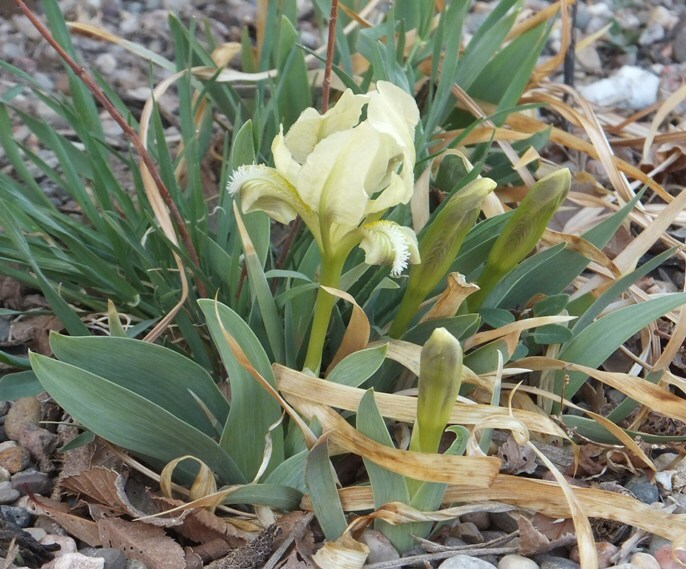 For serious hobbyists, such sources can form the basis of an extensive collection of rare and seldom-seen plants, each carefully identified as to botanical name and place of origin. As a nonspecialist, I’m often just as happy with a mix of seeds from different species. 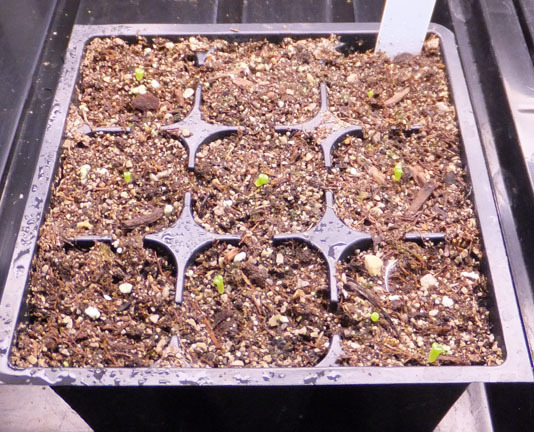 The lack of information and precision is made up for by the simple fun of not knowing exactly what you’ll get and watching each seedling develop into its adult form. 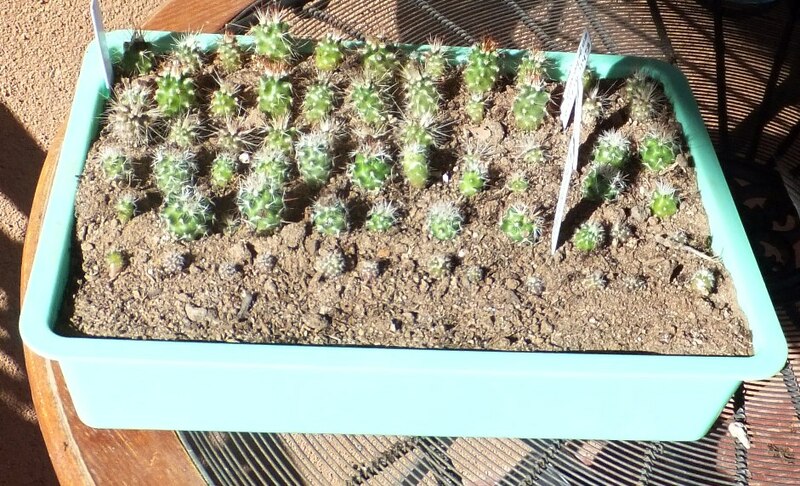 Today, I came across CactusStore.com and am tempted to put together an order: several hardy cactus species for the outdoor cactus garden, and some mixed seed of different succulent genera (lithops, echeveria, aeonium, etc.) just for fun. For the nonspecialist, it is certainly simple to just go the local garden center and pick out cactus and succulent plants that have colors and forms that appeal to you. 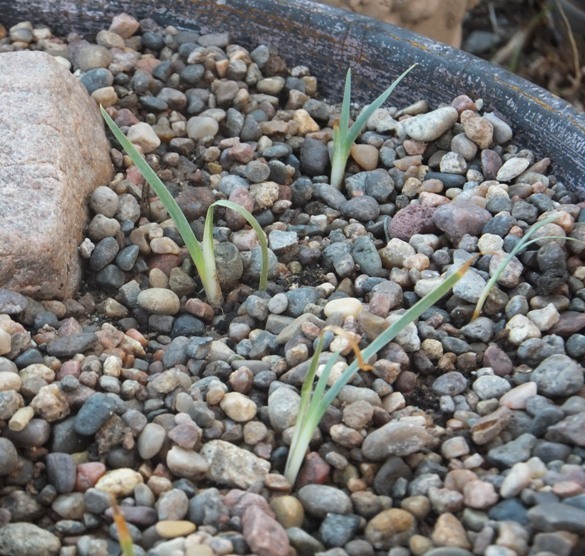 Nevertheless, one doesn’t have to be a serious collector to enjoy raising them from seed. The process provides a whole different level of connection with the life cycle of these fascinating plants. 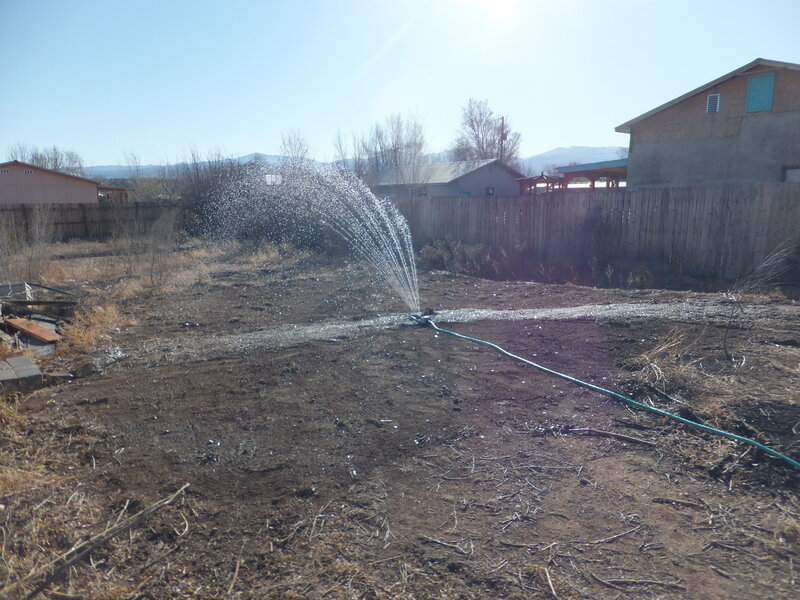 There is a special kind of reward in patiently watching as the seedlings grow into mature plants that just can’t be replicated by buying plants that have been grown commercially in a nursery. 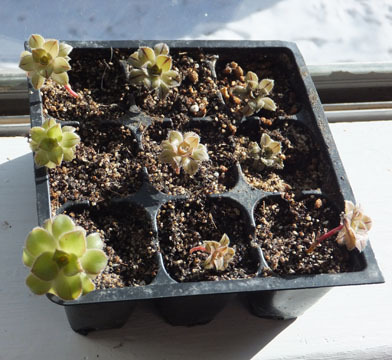 Update, January 28: I did order some more cactus and succulent seeds to start inside. 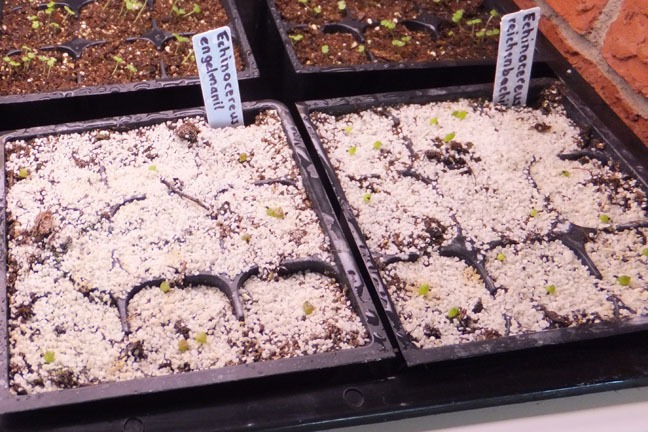 Here are some of the seedlings, three weeks after planting!